"I sense ..............a Major Tom moment rapidly approaching. Nick sent me a message asking me if I would like another cat. 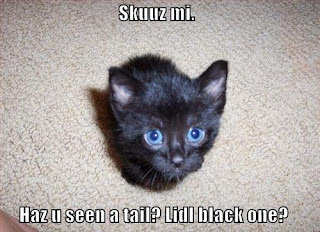 His brother had found 4 teeny, tiny black kittens in a barn where he was working. He had brought them home and now Nick's mum is bottle feeding them every two hours. I saw Nick last night and he said that by the time I get back from England they will be old enough to be rehomed. 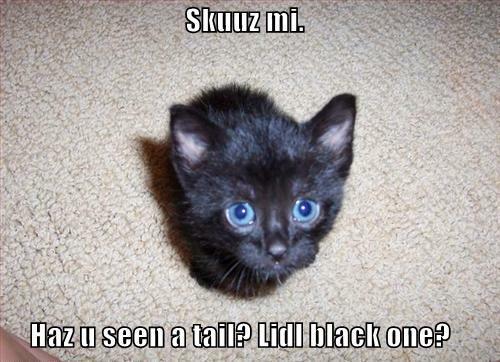 1, It is kitten season and all the rescues and shelters are overflowing with them. They won't even take them in. 2, They are black and for some reason the shelters find black cats very hard to rehome. One more kitty really wouldn't make any difference to us. There are only us two and the kitties in this house. In the grand scheme of things one more won't mean much to us but would mean a lot to a kitten with no home. Nick is coming round tomorrow morning to take me to see them.